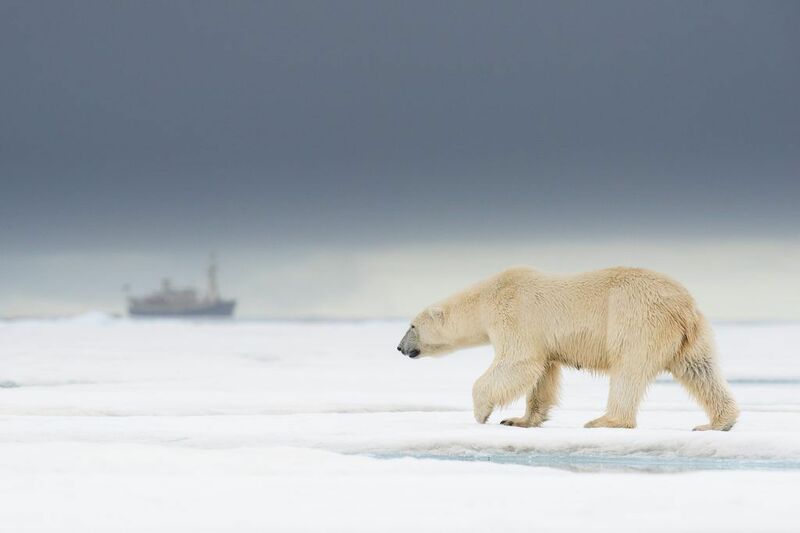 If there’s one species on a Wild Images Svalbard photography tour, that tugs at ones heartstrings, evokes thoughts of exploration and conjures up the very spirit of the Arctic wilderness, it has to be the majestic polar bear. Possibly one of the most instantly recognisable, most well loved and most iconic species on the planet, and the mammal on most wildlife photographers’ wish list. 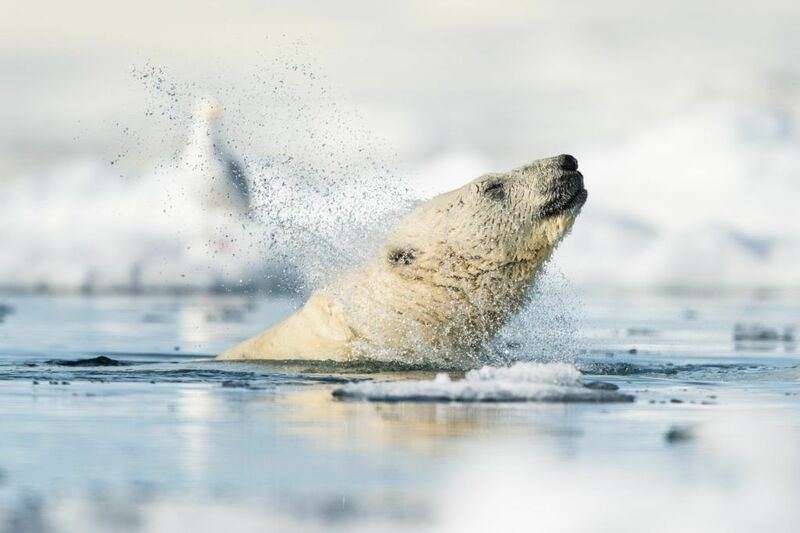 From March through September Wild Images operate a number of itinerary-packed Svalbard tours that offer photographers every opportunity to get up close and personal with these wonderful creatures. Our range of 9, 11 and 16 day tours offer you the chance to experience bears (as well as walrus, seal, fox and more) from the time they arrive at the sea ice in the spring until they prepare to den in the Autumn, and everything in between. There is so much to take-in on one of our Svalbard tours that we thought we would provide you with a head start and share some known, along with some not so well known, polar bear trivia. Polar bears (Ursus maritimus) spend most of their lives on the sea ice depending solely on the ocean for their food and habitat. As a result, these regal and imposing bears are actually classified as marine mammals with a native range that lies principally within the Arctic Circle incorporating the Arctic Ocean and the immediate seas and landmasses. 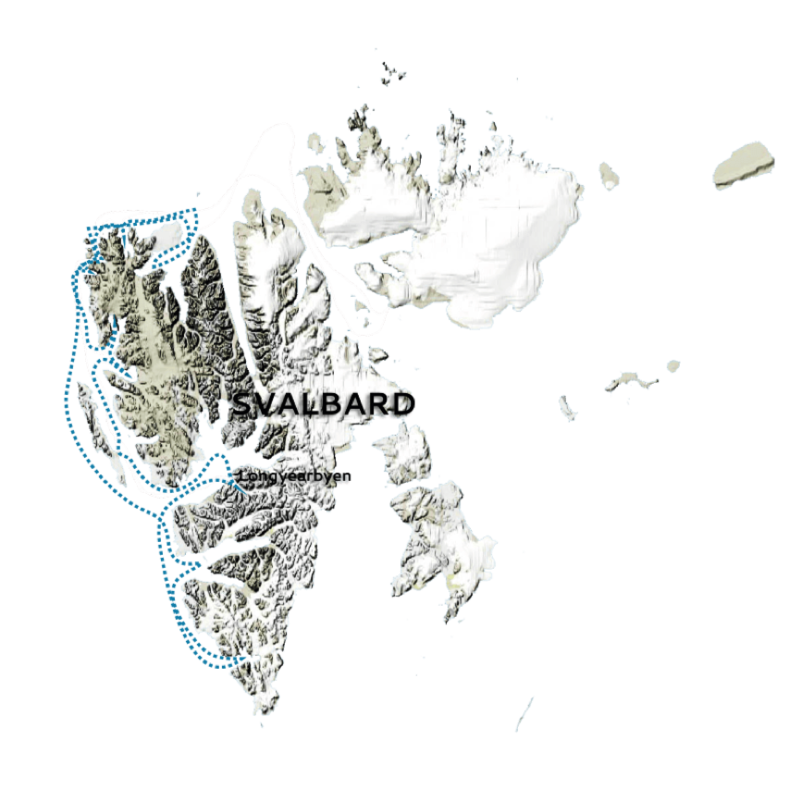 We concentrate our tours in Svalbard (also know as Spitsbergen) which lies to the far north of the European mainland in the Barents Sea region where it’s estimated that the current polar bear subpopulation is one of the largest, numbering 2500-3000. Polar bears are not actually white. In fact, depending on certain environmental conditions, and under varying lighting, a polar bear’s coat can often appear as grey, yellow, orange and even pink. That’s because a polar bear’s fur is essentially hollow and made of transparent keratin with little or no pigmentation, which means that when light hits the outer layers, some of it is absorbed while the rest is scattered. Since the hairs are hollow, the fur of polar bears whose diet mainly consists of seals, can also take on varying shades of yellow as they [the bears] take in the seal’s super rich fats and oils. And, deep beneath their thick heavy coats, polar bears actually have dark black skin, an adaptation that helps them readily absorb as much heat from the sun’s rays as possible. Tantalising evidence of this evolutionary alteration is the visible skin surrounding a polar bear’s nose. 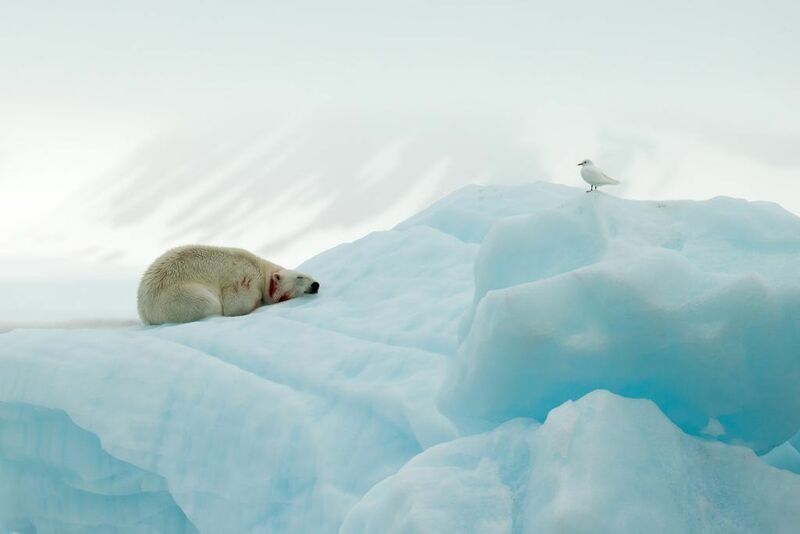 Approximately half of a polar bear’s life is spent hunting for food, generally ringed and bearded seals which they tend to ambush at breathing holes or by stalking on the sea ice. According to the National Zoo, and with the right conditions, polar bears can smell a seal from 20 miles (32 km) away or three feet beneath the ice from a distance of 0.6 miles (1 km) away. Although exceptionally adept when it comes to patience, stealth, camouflage and sense of smell, less than 10% of hunts end in success. With some experts even putting this figure closer to 3%. On the rare occasion that a hunt is successful an adult polar bear can consume an incredible 45kg of blubber in a single sitting. Polar bears are hyper carnivorous and fortunate that they’re able to substitute seals for small mammals, eggs and vegetation when times are hard. Although a fresh kill will always be a polar bear’s preference, they’ll also resort to scavenging carcasses if they’re unable to hunt. 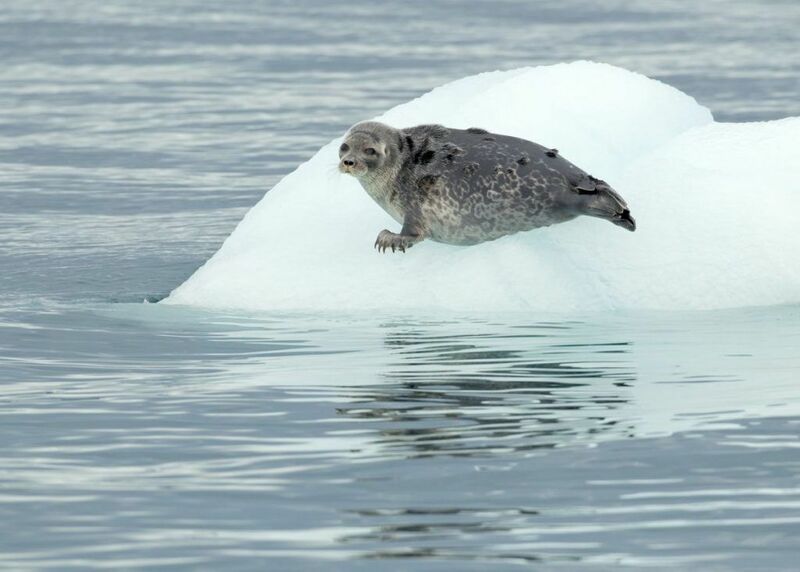 Scientists have reported an alarming increase in scavenging amongst certain populations as temperatures rise and bears decide to simply fast on land while waiting for the ice bridges to reform. With large front paws delivering a steady speed of 6.2 mph (10 kph), polar bears are able to propel themselves through the water doggy-paddle style negotiating miles of open water for many hours in order to cross from one ice sheet to another. Young healthy individuals, with large fat reserves, have been known to swim continuously for more then 100 miles. One young female was even tracked on a nonstop swim of 249 miles (400 kms) that took an incredible nine days! As the sea ice starts to retreat signalling the onset of summer, polar bears will head towards land to take up residence during the ice-free season. It’s at this time that they may have to go for prolonged periods without eating, relying solely on their fat reserves amassed during the winter. 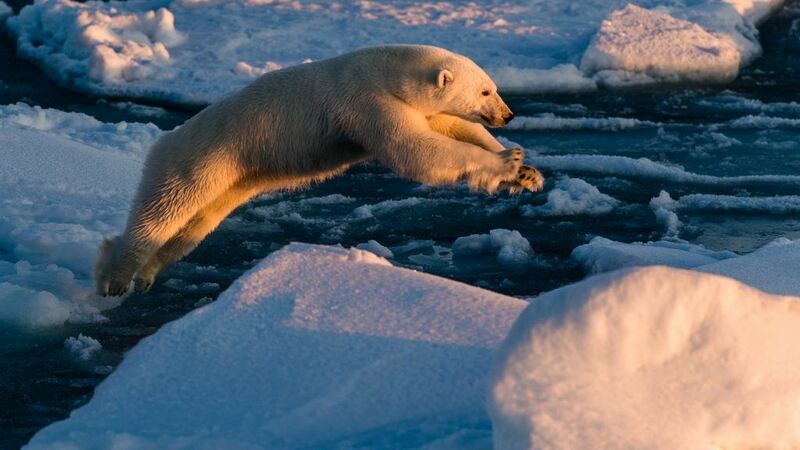 Female polar bears, however, pay the highest price as they undergo the longest fasts. 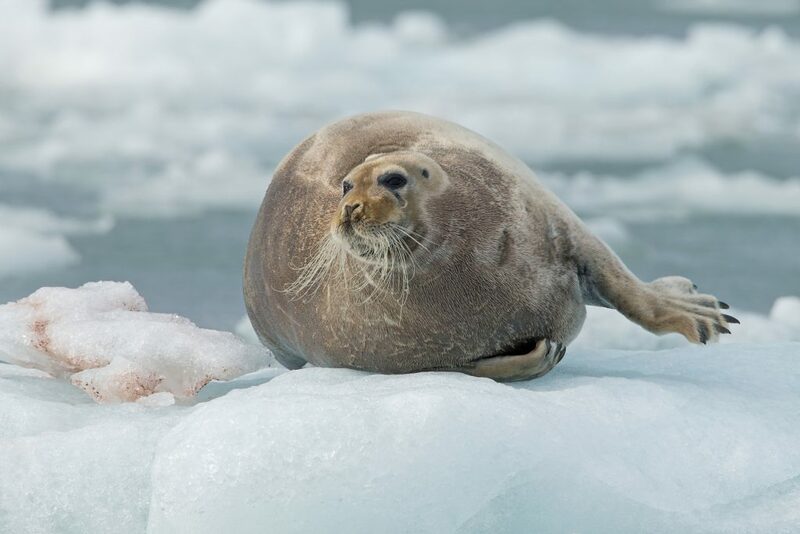 From the time they enter their dens to give birth, to the time they emerge and reach the ice edge the following spring, they will have gone without eating for four to six months, some as long as eight months. According to the World Wildlife Fund (WWF) the total population of approximately 26,000 wild polar bears is divided into 19 subpopulations. 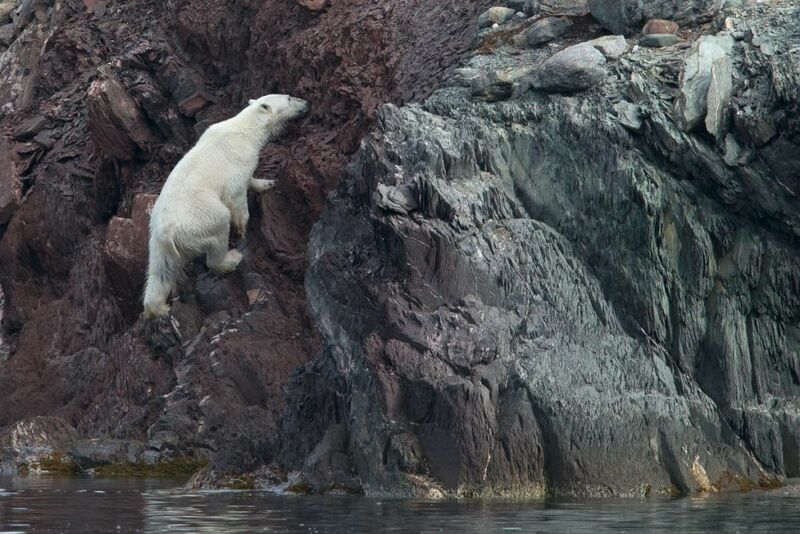 13 of these subpopulations can be found in Canada, which accounts for 60% of the global polar bear population. Sadly, polar bears have the unenviable honour of being one of the first species to become threatened due to anthropogenic climate change. 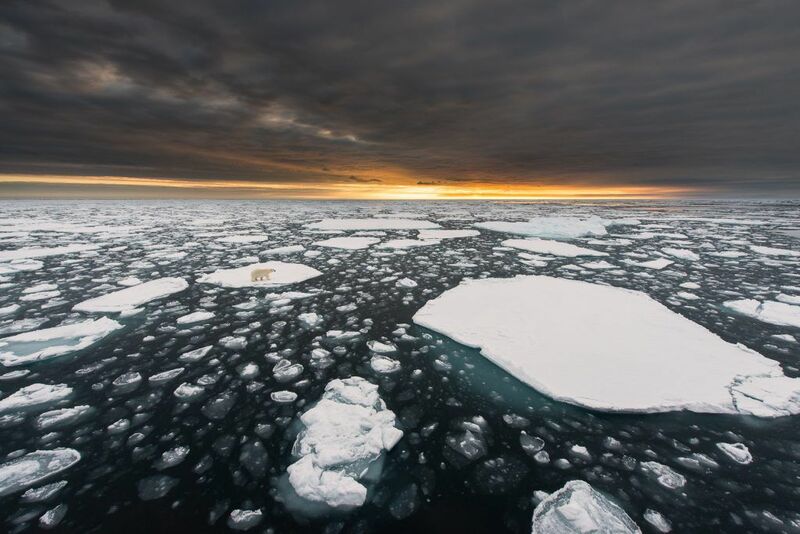 Human pollutants amongst other things are causing the sea ice to form later and break up earlier resulting in a much longer melting season, which in turn, is constricting the polar bear’s feeding range. 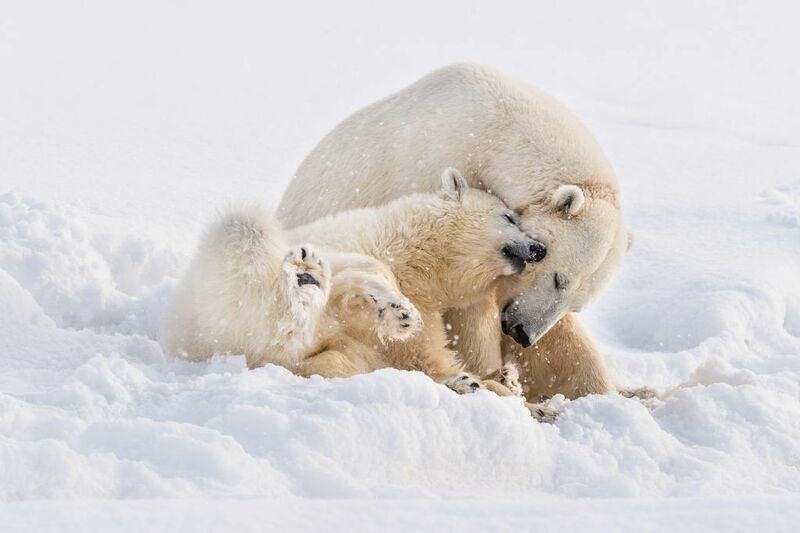 Currently listed as vulnerable (vu) by the ICUN, model forecasts, by the U.S. Geological Survey, suggests that continued habitat loss may cause polar bear populations to decline by more than 30% by the year 2050. Some experts submit that this figure could be closer to 60%. Svalbard is one of the best places, if not the best place in the Arctic to photograph this extraordinary animal in its natural environment. With the chance of multiple encounters and a range of itineraries, dates and durations, Wild Images is able to provide tours to suit all. Our Svalbard tours offer one of the richest wildlife photography experiences in the entire Arctic region, so expect to also see Walrus, Ivory Gull, Arctic Fox, Reindeer, Little Auks, jaw-dropping landscapes and much more.